Cost: Silver Cloud Estates provided this sample for review. 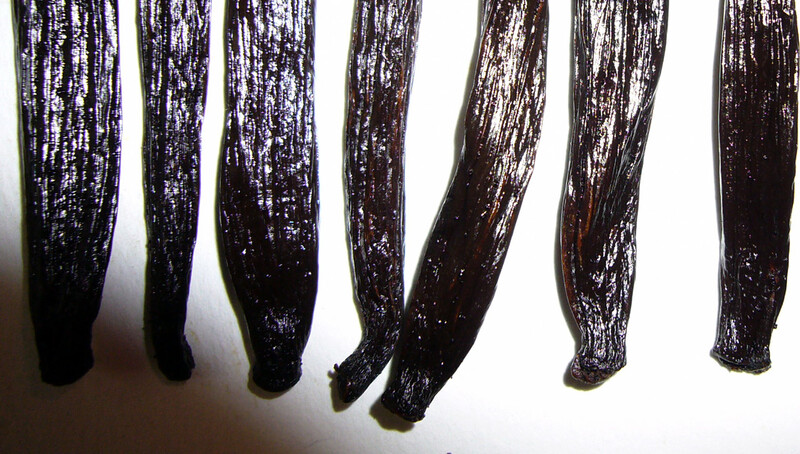 Silver Cloud Estates’ vanilla beans are grown and cured on the same farm, a real rarity in the vanilla industry. This is definitely vanilla with a sense of place — all the beans are grown on the estate in the Blue Mountains of Southern India. Click read more for the full review. 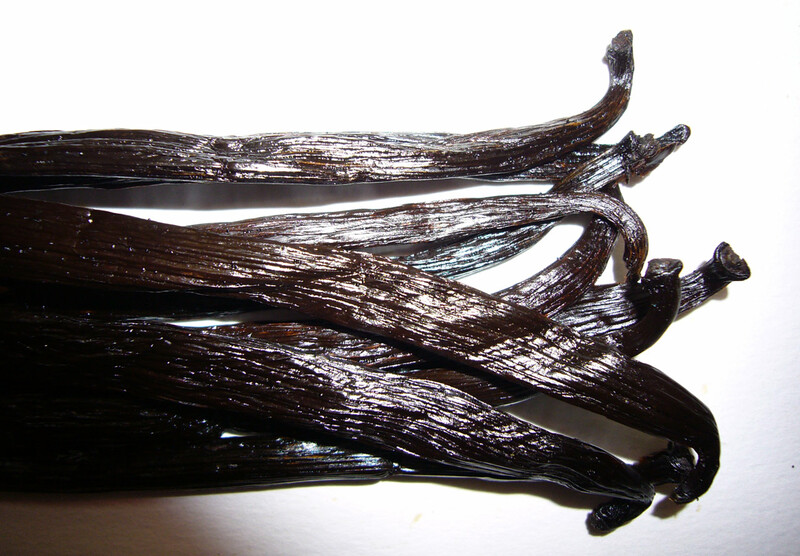 According to Chris at Silver Cloud Estates, All our vanilla beans are grown exclusively on the estates in the beautiful Nilgiri, or Blue Mountains of Southern India. 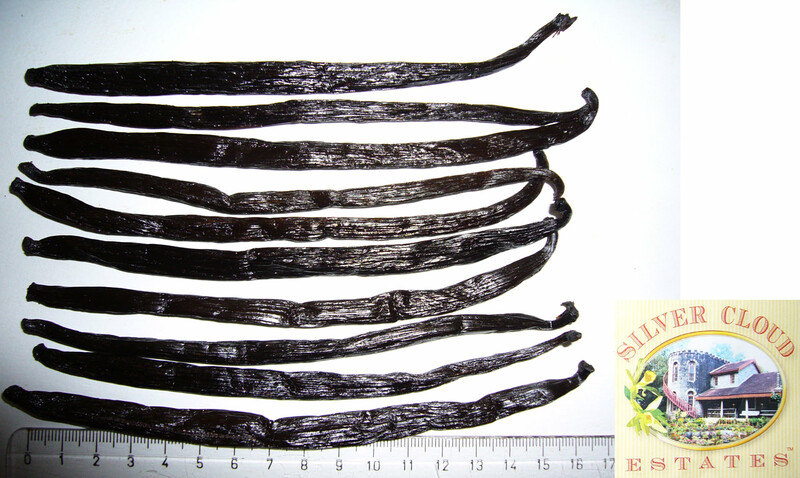 Since we grow our vanilla beans we have tremendous control over the quality of the beans and other vanilla products we sell. It enables us to guarantee that the products are natural and produced in an eco-friendly manner. No child labor is ever used to plant, grow, pollinate, harvest or process any of our products. Today, over 100,000 plants are intercropped with tea, coffee, black pepper, cardamom and other spices. 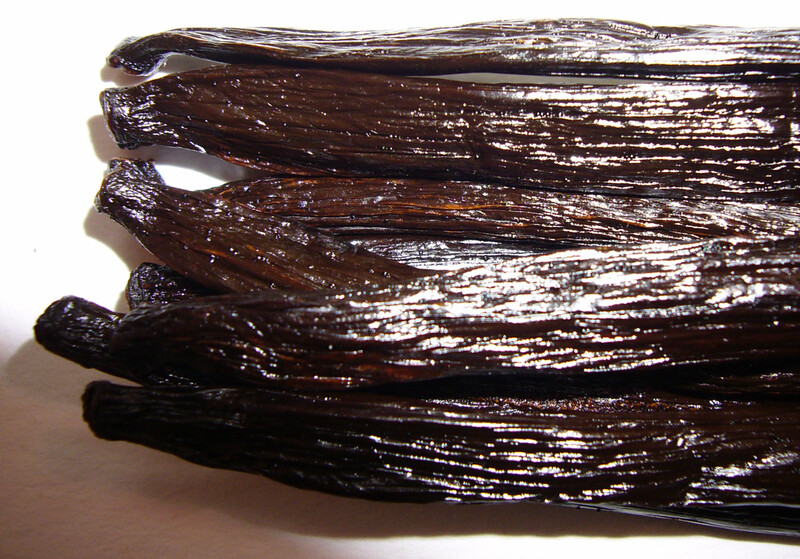 Silver Cloud Estates sent a half-pound of vanilla beans for review. There were 68 beans — or 136 per pound. According to Chris, these are from the 2007 crop. 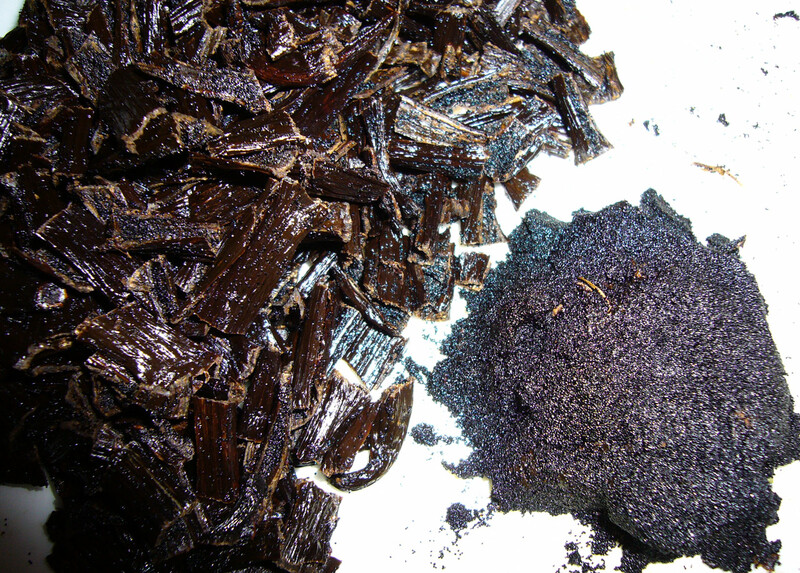 The vanilla is mahogany brown to black in color. The beans are all moist and super flexible – they tie easily in a knot without breaking. The skins are oily and supple. The beans are of average width and plumpness. Exceptionally dark and rich caviar, very nice. The texture is like wet sand, not goopy. It leaves brown-green oil stains on the knife and my fingers. The aroma is sharp and fruity, like raisins or prunes. 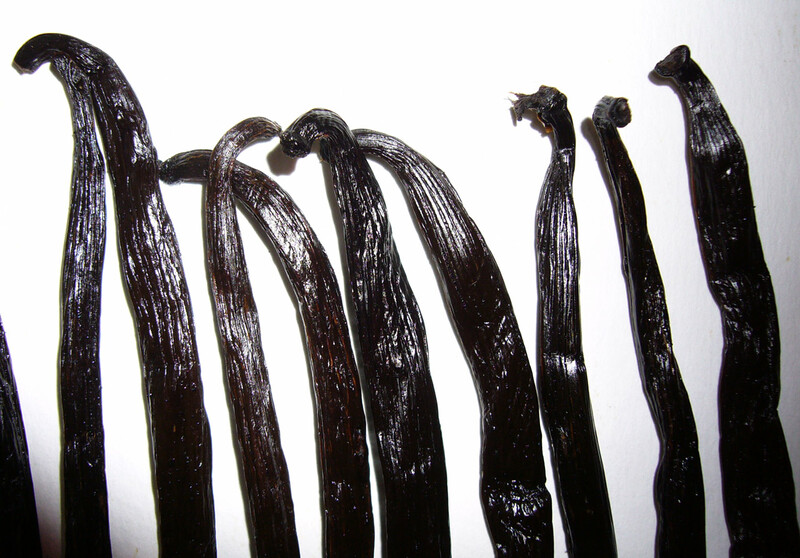 Very high quality vanilla beans, but it’s even more exceptional because it’s rare and farm-direct. 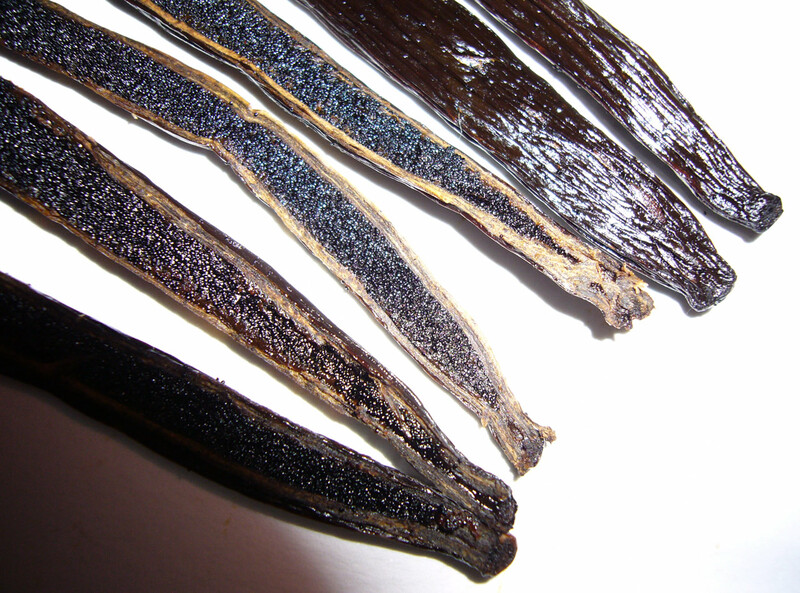 Silver Cloud Estates is the only source I’ve found for vanilla beans grown in India. 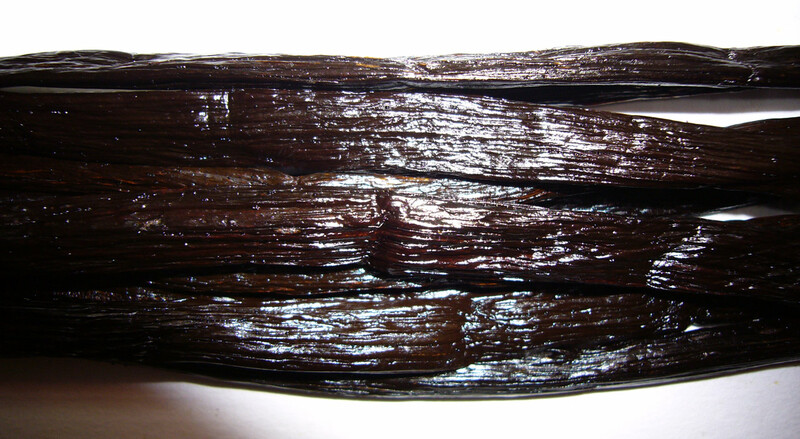 This vanilla is grown and cured in the same location, reflecting the unique conditions and practices at this beautiful, historic Estate. Great beans, with lots of character. 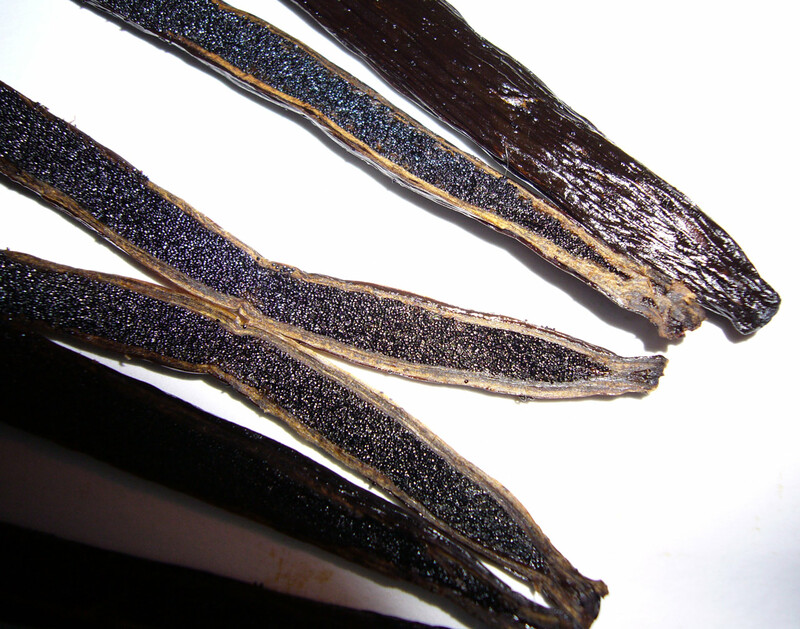 I am a vanilla extract newbie, but I recently compared Silver Cloud beans with some from bourban vanilla beans from Madagascar via http://www.vanille-madagaskar.de/index.html. Both types of beans were dark, pliable, had good aroma which I understand are good things. From my limited experience they seemed very similar on those counts. I was very pleased with the Silver Cloud beans. The Madagascar beans were a bit longer than the Silver Cloud Estates, so there was a bit more caviar from the Madagascar beans. I look forward to comparing the taste extracts in a few months. Thanks for your comment, I think it’s the first on the new site. I’ve never heard of vanille-madagaskar.de.